Anderson Silva (34-8, 1 NC MMA, 17-4, 1 NC UFC) returns to the Octagon on Saturday night after nearly two years of a break, where he’ll meet undefeated New Zealander Israel Adesanya in the co-main event of UFC 234. But “Spider” doesn’t think “The Last Stylebender” is “the evolution of mixed martial arts”. He points the finger at-Jon Jones! Anderson Silva compliments Jones’ fighting skills, and even considers him a younger brother. The question who’d win in Silva Vs Jones match was asked often in the past. The Brazilian thinks the all-time best New York-born Octagon warrior would be the winner if they met in their primes. “Jon Jones,” Anderson said, when asked who would have won a fight between them had they fought at their peaks. At the moment, Jones seems to be in great shape, while 43-year-old Anderson Silva’s career is closing to an end. Jon Jones (23-1, 1 NC MMA, 17-1, 1 NC UFC) regained his UFC Light Heavyweight title after a third-round TKO win over Alexander Gustafsson at UFC 232 on December 29, 2018. Jones is currently slated to defend his belt against Anthony Smith in the main event of UFC 235, which is set to go down on March 2, 2019. 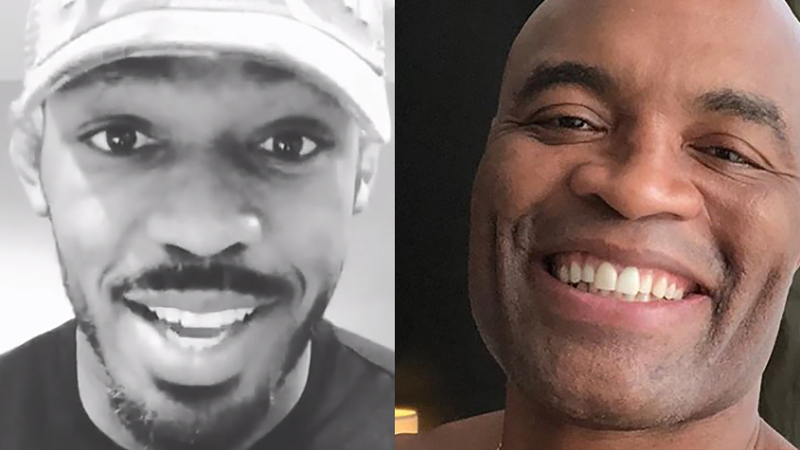 Anderson Silva and Jon Jones are two great names in the world of mixed martial arts. The Brazilian is the man who fought 16 times in a title fight, which is an absolute record. When Jon Jones defeated Mauricio Rua at UFC 128, which was held on March 19, 2011, he was only 23 years and 244 days old. What a success! Do you agree with Anderson Silva? Is Jon Jones the evolution of MMA?